Frostynk, please read the forum rules before posting in the future. Oculus Rift support will be in the next version of SE. Hello, I have the problem with the obsolete opengl 2.1, I managed to open up the program, but now all the stars are black - I can just see their names. Also some stars are not even there, when I get close up, they disappear. When it opens it says 'error loading texture generator shaders'. I have an Intel HD Sandy bridge integrated graphics card, mobile dual core Intel I3 1st gen processor. Thanks. From what I have read, first generation Core i3 processors only support up to OpenGL 2.1. 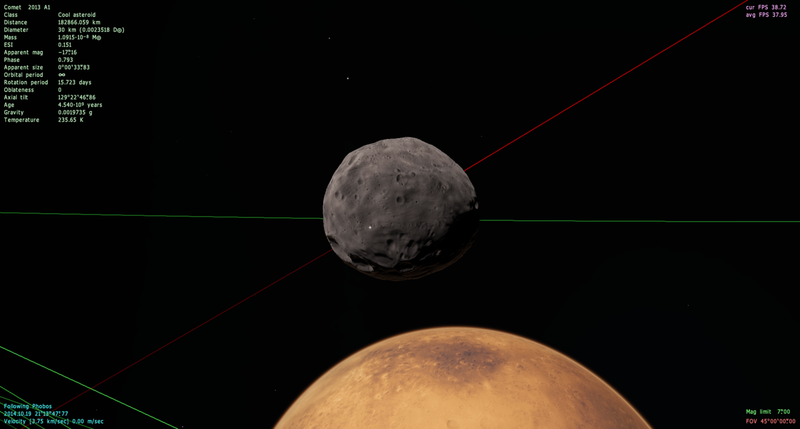 This is not sufficient to run SpaceEngine, which requires OpenGL 3.0 (3.3 for the next version). Your only option is to upgrade your computer with new hardware. But I also read that Sandy Bridge was not the first generation of Core i3 processors, and that it should support up to OpenGL 3.1 on Windows, in which case you need to update your Intel video drivers. But even if you do this, it still will not perform well. Oh really? I will look deeper into that and see if I can find a driver. Thanks. I'm getting the same problem as armheadfood7 with the crazy labels in the map. 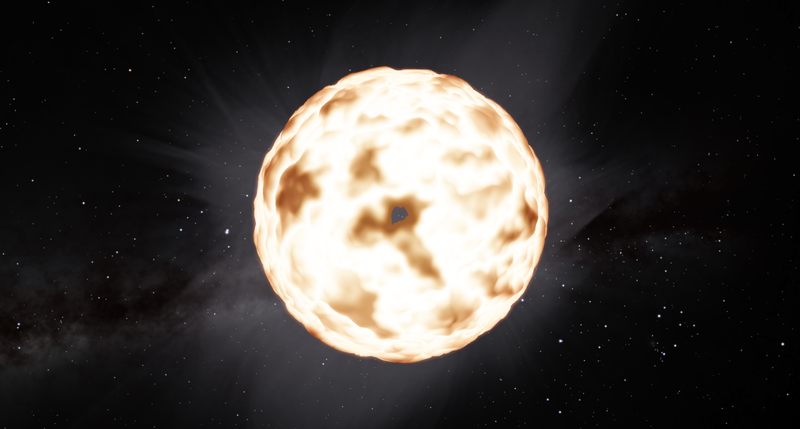 I'll just be looking around the system map, minding what I hope is my own business, when the game suddenly prints infinite labels and sometimes infinite high magnitude stars all over the place, dropping frame rate to less than one. It refuses to close the map no matter what I do, and if I don't close the game with task manager in under a minute, it crashes. I've had this problem three times now, and it's a total killjoy. Sometimes the game won't even load the planetarium after restarting after the map blitz. It also seems to be totally unrelated to anything I click on or do, as the latest occurrence was when I was simply sitting, not doing anything, just thinking, and BANG! Does anyone have a solution, or even have encountered this? How do I fix this issue once and for all? Posting your specs would be very helpful in trying to solve these issues. As a fellow person who is plagued by this and wish I could do away with it, it pains me to say there isn't anything you can really do to completely get rid of skips. You need very expensive hardware and top of the line CPUs and GPUs to keep things running smooth all the time. Even then many of the computers I have used with far superior hardware than my own have this issue but it seems like not that many people actually notice it. Good news is you can do a few things to reduce it. Check your hard drive and make sure it doesn't have any issues or high fragmentation as this can cause skipping when performing read/write sequences. Next thing you should check is your overall performance when running strenuous programs to see how much RAM/CPU/GPU is being used. You can optimize this by turning off certain windows features like Aero, disable flash, and any other memory and CPU/GPU hungry programs. Make sure your RAM is setup properly, if the clock cycles are off this can cause minor hiccups during data transfers and can cause minor skips. In your video it looks like you have a more severe case which means it could be caused by a few things at the same time. I recommend benchmarking and stress testing your PC and checking for issues. OK, my system specs: Dell Inspiron 5547; 8 gigabytes of RAM; Processor: Intel® Core i5-4210U CPU @ 1.70GHz (4 CPUs), ~2.4GHz; Operating System: Windows 7 Home Premium 64-bit; Graphics: Intel® HD Graphics Family (That's all there is ); this laptop is a pre-made that I ordered from Dell. EDIT: 1 TB hard drive; 933.6 GB total space with currently 642.3 GB free. I already have Aero turned off; and I have a third party program called game booster, which I use to help with performance. EDIT: I checked defrag, it said 1% fragmentation. You should run disk defrag to fix that. Fragmentation leads to poor hard drive performance and poor system performance. Thats the main problem. You definitely need something more beefy for programs like SE and since you are using a laptop there isn't really anything that can be done. I would recommend running SE in a smaller window to reduce hardware strain. Other than that you would need a new laptop or a desktop made specifically for gaming and one that has Nvidia or ATI. Shoot. I was afraid of that. Well, even with the skipping, the framerates are otherwise decent, and with terrain LOD at -1 for flying and saving LOD 2 for screenshots, I still seem to enjoy SE to some extent, so that's nice. As for the 1% fragmentation, I actually didn't even know even just 1% could cause issues.